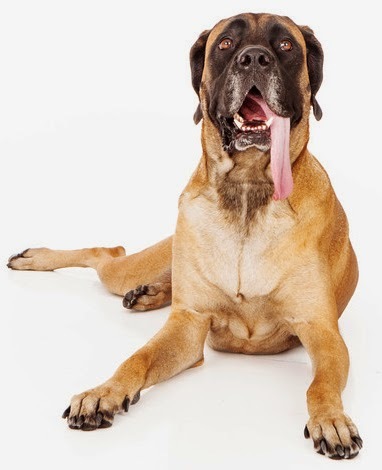 Plexidor Pet Doors: How good is a dog's sense of smell? Trained dogs can detect lung cancer from a person's breath, smell termites, or find natural gas buried under 40 feet of dirt. Scientists have attempted to quantify a dog's sense of smell in terms that can make sense to a human; a dog could detect a teaspoon of sugar in a million gallons of water, or sense one rotten apple in two million barrels. So, how can dogs have such a remarkable sense of smell? A human has between five and six million olfactory receptors in the nose. An average dog has around 220 million, and some breeds have 300 million. The part of the brain that interprets smells is also much larger in a dog than a human. There are more interesting differences. When a human inhales we breathe and smell through the same airway in the nose. Dogs have a separate fold in the nose that separates breathing and smelling. And, when a human exhales we send the air out the same way it came in. Dogs exhale through slits in the sides of their noses, and the spent air helps usher new scents into the dog's nose. This system also lets a dog sniff continuously. Dogs can wiggle their nostrils independently and determine which nostril a scent came from. This isn't all. Dogs have a special organ humans lack that picks up pheromones. This means that pheromones are picked up separately from other scents, and are analyzed by another part of the brain. When a dog greets another dog, they can learn what the other eat during the day, who else they met, what they touched, and what mood they're in. Dogs with longer noses can generally smell better than breeds with short noses, because they have more olfactory glands. Bloodhounds, basset hounds, and beagles are amongst the breeds with the most sensitive noses.